Hammersmith and Fulham community sports awards evening. Thursday 17th September 2015. Two years later, once again at the Hammersmith and Fulham community sports award evening, sportspeople from the borough came to celebrate our sports achievements of the year. Each award was nominated by people of the community who get to experience the efforts of sports stars from their local sports clubs first hand. It was so lovely to see so many young people and supportive teams at the event. 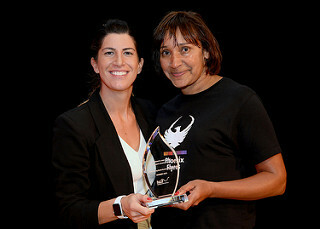 There was an amazingly inspirational talk from Jenna Dowling, who took us through her story that lead her to become British World in-line skating champion, before handing out the awards. 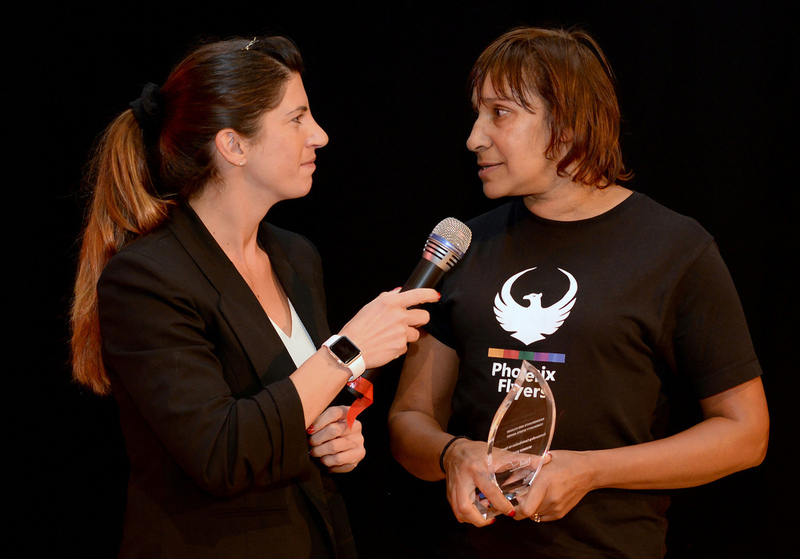 Phoenix Flyers was nominated for three awards: Sports Club of the Year, London Youth Games Coach of the Year and Outstanding Contribution Award. The club triumphed and is extremely proud to see Caroline Quist awarded with the 2015 Outstanding Contribution Award. Caroline Quist has truly made a great impact in the sports community and maintains such a positive atmosphere wherever she works. She has mentored many young coaches, some of whom have gone on to open their own club, and installs good training ethics at Phoenix Flyers. At the ceremony, Caroline thanked her coaches and volunteers who make the effort at every session and in between to help get the club where it is today. We are working to continue this success in future years.